It’s that time of year again, when high school juniors and seniors are getting ready for a night they won’t forget: prom. 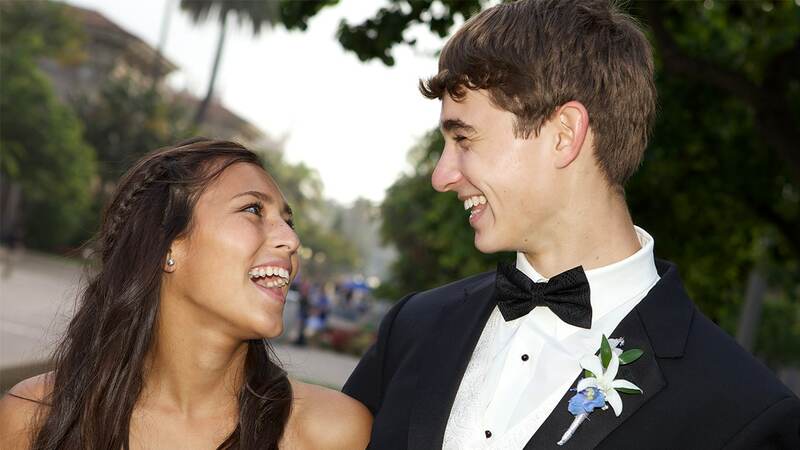 It shouldn’t cost a fortune, but according to Visa Inc.’s annual prom survey, American families are spending $919 on average on their teen’s high school prom. Some teens even spend an average of $324 on their “promposal.” Prom can cost anywhere from $175 to $2,100 and it adds up if you don’t track how much you spend. But have no fear, the money-saving experts at Slickdeals have put together some prom tips to help you plan ahead and save money for this fun night out. If you are going to wear your dress, suit or tux more than once, then you should buy it. That way you’ll have a formal outfit for years to come. Go bargain hunting at thrift stores or consignment shops. Since prom dresses are rarely worn more than once, they get donated and many of them are in great condition, and get it tailored for a perfect fit. Before you shop, don’t forget to check online for coupons and sales. Slickdeals has a community of 10 million users that share, post, comment on, and vet the best deals. To take your savings on the go, download the Slickdeals app and set a deal alert for the items you are looking to buy. Once a deal matches the criteria you set, you’ll get an instant notification so you’ll never miss a hot deal again. Bookmark our Macy’s Coupons & Promo Codes page to get discounts on prom attire. We recently saw a Michael Kors Men’s Classic Fit Vested Suit for $160, marked down from $695. If you aren’t an expert in the art of applying makeup, ask a talented friend or family member to lend a helping hand. Another frugal option is to go to a beauty school where they charge a fraction of the price at a salon. Paul Mitchell Schools offer services like haircuts and styling, make up, waxing, and nail services starting at $5, but don’t worry, all services are performed by students under the supervision of a licensed instructor. Lastly, don’t blow your budget on high end makeup that you may only wear on this one occasion. Many beauty experts agree that drugstore brands will perform well, especially for products like mascara, eyeshadow palettes, blush, highlighters and eye pencils. Search out some of you favorite beauty bloggers on YouTube or Instagram to see how to create the perfect, budget-friendly prom look. Corsages and boutonnieres are considered the most iconic prom staples. Skip the expensive florist and get your corsage at the grocery store. You can also go on etsy and customize them. Better yet, you can make it yourself. There are plenty of DIY guides on creating your own corsage or boutonniere. Bookmark the Michael’s store page on Slickdeals to save up to 40% on supplies online or in-store. Professional photographers can run anywhere from $30 to $300 for an hour session, which is rather expensive, and you may have to wait weeks before getting them back. A quick and easy solution is to have your family or friends take photos for you. Smartphones have evolved quite a bit from the days of yore, with high-quality cameras that come with advanced editing features. You can edit photos through various apps like Instagram, VSCO, and Snapseed by applying filters, customizing the light, color, and white balance. Going out to dinner with a huge group can be complicated, time consuming, and expensive. You can expect to shell out up to $100 for one meal. Opt to have a potluck with friends where everyone brings a dish to share. Or, keep it simple by ordering some pizza. Save money by using coupons from Pizza Hut where you can get a medium pizza for $6. There are many options for getting to prom. If you have a large group, limos or party buses are a good choice. If you want to arrive in style, opt for high-end rideshare options like UberSUV, UberLUX or Lyft Premier, or Lyft Lux. However, driving yourself or sharing a carpool is the most cost-efficient.